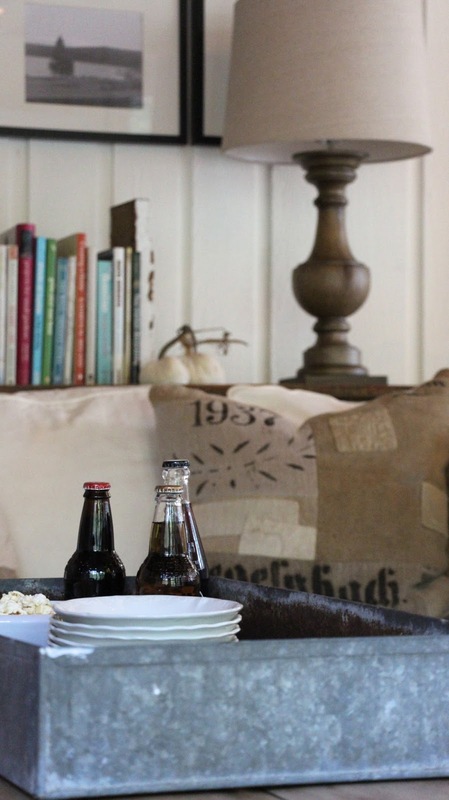 Welcome to our fall home tour! I am so excited you are here. If you just toured Bliss At Home, I bet you are feeling really inspired. 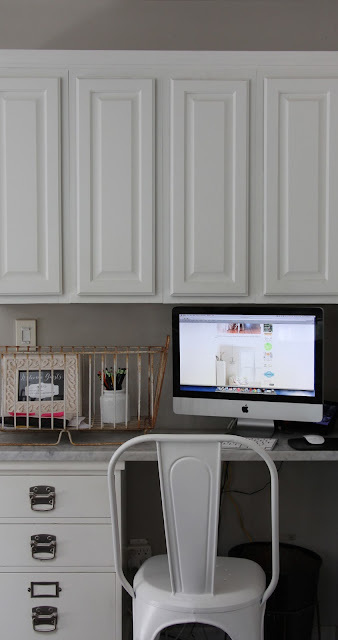 If you are new to my blog, I hope you read further then this post to help you get inspired to decorate and tackle some projects. I love do it yourself projects, knockoffs, painting, sewing, cooking, and building just about anything. There is tabs at the top of this page to help you navigate better. 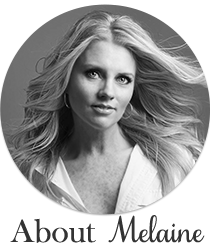 A huge thank you to Marty for including me in this great lineup of amazing bloggers. I also have a special surprise for you. If you read this post all the way to the bottom you will see a very special giveaway I think anyone would love ~ valued at $795.00! I am especially loving this color mums this fall. I moved this garage sale table out of my dining room and onto the porch. The signs you can purchase here. When you step inside our front door you are right in the kitchen. 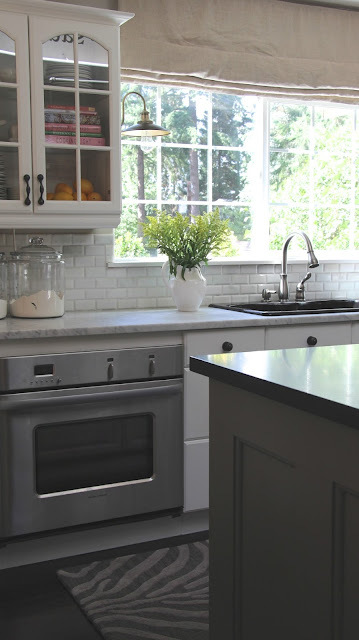 You can read about our most recent kitchen makeover here. The lights over the island you can find here. These sconces are from Lamps Plus but aren't on their website anymore. in the mostly white kitchen. 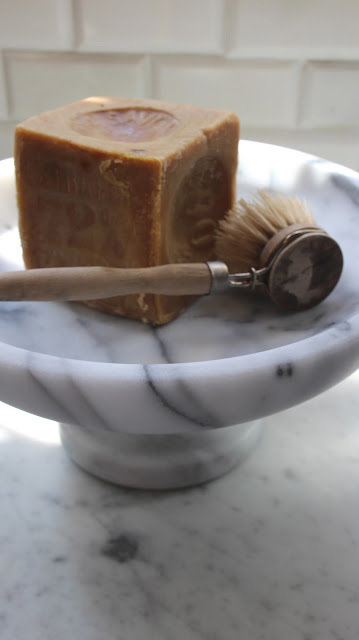 I love this marble fruit bowl from Crate and Barrel. 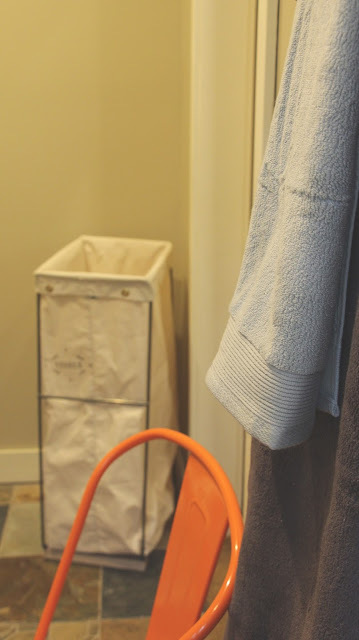 It works perfectly for holding soap and a scrub brush by the sink. A friend just gifted me this rug knowing how much I love neutral animal prints! The mug rack is from Ebay and the mugs can be found here. excess things and start fresh! This is where I blog from. It's centrally located so I can keep my eyes on the happenings around me. Wire basket is thrifted, chair found here. The desk I made out of a slab of marble and these file cabinets. Custom curtains from Windows By Melissa on Etsy. 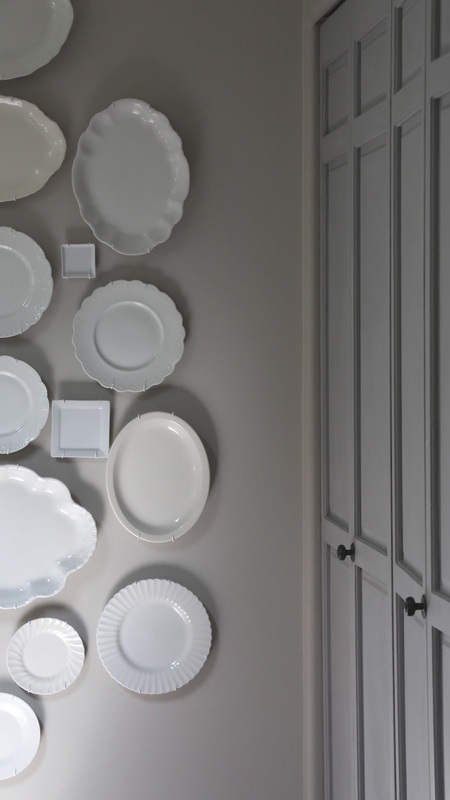 I recently did a post on this plate wall here. I just bought this old school trash can from a friends garage sale. I am using it for recycling. It's probably not for everyone, but I like the unexpected! This is one of the most used rooms in our home, especially in the fall and winter months. 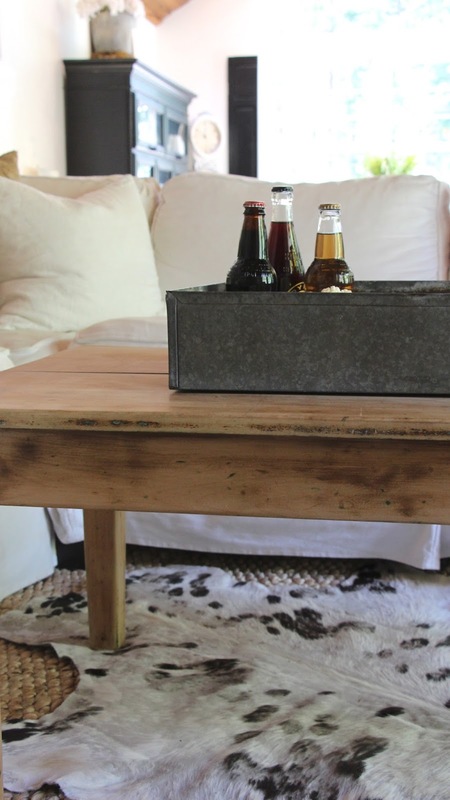 The coffee table was my husbands train table when he was little. It was originally green but I sanded all the paint off. 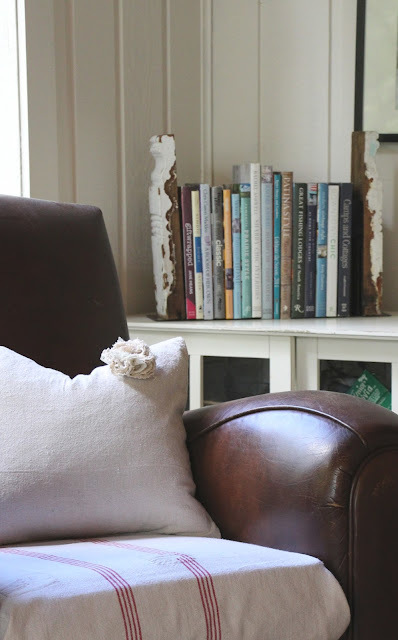 The DIY bookend directions can be found here. The galvanized tray was a garage sale find and I have it set up with sodas and popcorn for movie night. The lamps are from HomeGoods. Similar ones here. I covered the leather seat of our chair with a vintage grain sack. 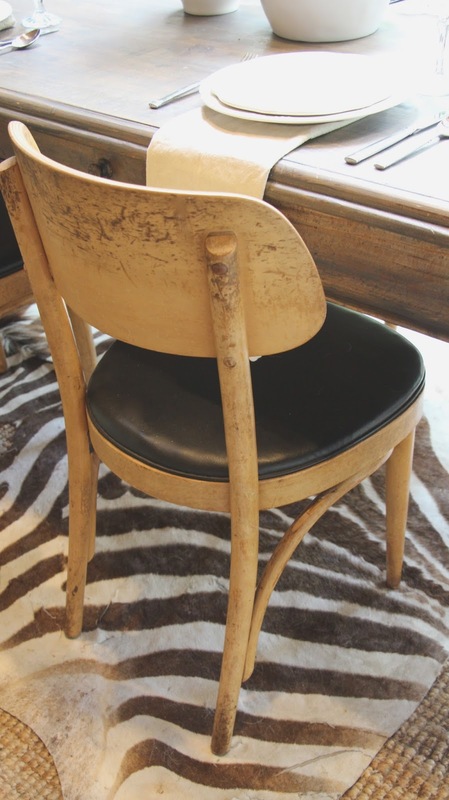 Simple change but gives the chair a whole new look. 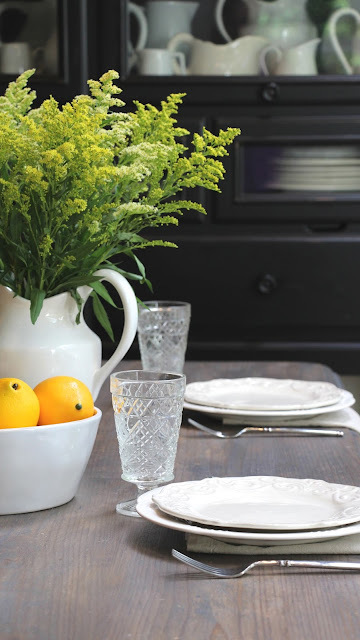 A peek into the dining room, next up! The couch is from Pottery Barn. The grain sack pillows are a new item for us and can be found here. The cowhide rug I also just purchased from my friends garage sale. Love the airiness it brings to this room. 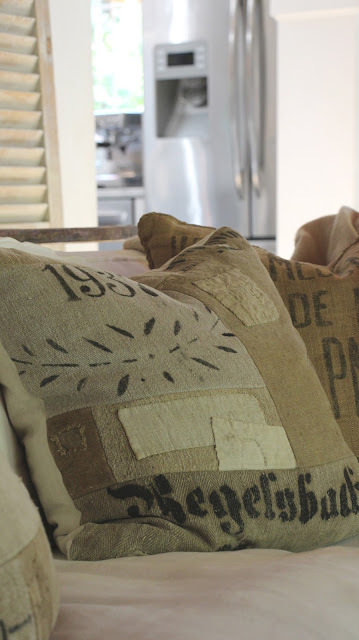 I could stare at these pillows all day. Right by the back set of french doors I keep my boots. I am constantly coming and going out to the studio so it helps having them close. Free printable in the background can be found here. The velvet pumpkins are my favorite. I just got some bright pink ones too. They are the only pumpkins I have out right now! You can purchase yours right here. Now onto the dining room which recently got a little makeover. I sold our hutch and got a new one! Well, a new used one. You can find my new hutch in this issue of Country Living magazine. 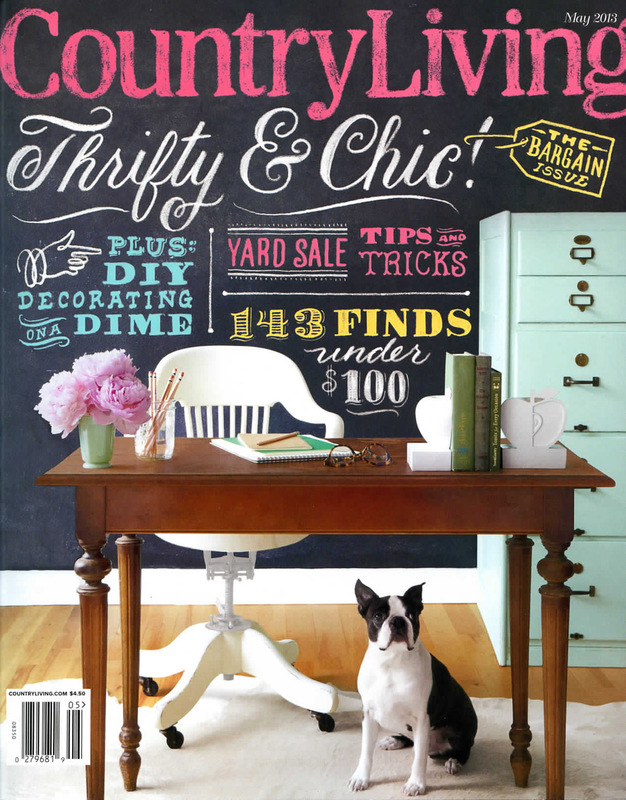 It belonged to my friend Heather whose house is in the magazine. I love how it's styled for the magazine, you will see how I tried to replicate it. I am such a copy cat. She even gave me all the white dishes to fill it up. I added the chalkboard for a little height, and it will be fun to change the sayings up seasonally. 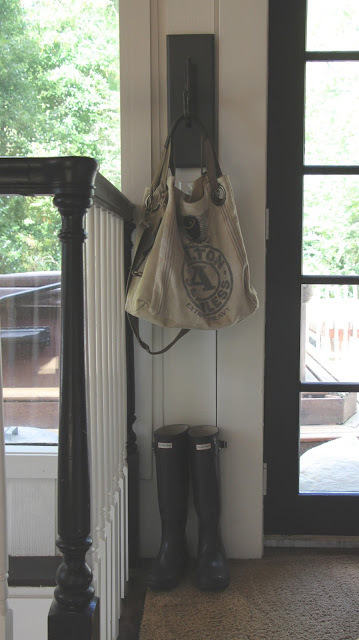 I got this white wood tote forever ago at a flea market. 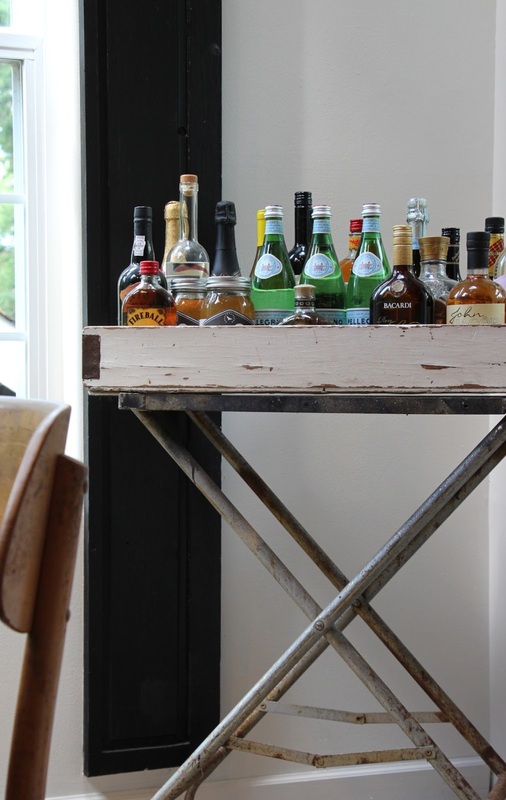 It works perfectly as a bar cart top in the corner. I also got the chairs there! I think they are honestly my favorite thing in my house right now. After I sold our hutch and end chairs, the chairs I had just looked too matchy matchy. I just about died when I saw these in the antique store. There was 5 and I really needed 6, but I am using a stool at one end so it's no biggie. The clock is from the same girl I bought the hutch from. The jute rug is from here and the zebra hide is from Ebay. The master bedroom got a little bit of fall with some blueish/greenish/grayish pumpkins. The frames are all from TJ Maxx. 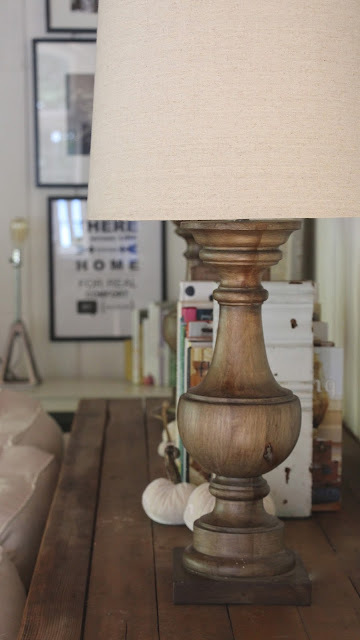 Lamps from Home Goods, great place for inexpensive lamps! I like to keep the bedding very neutral. 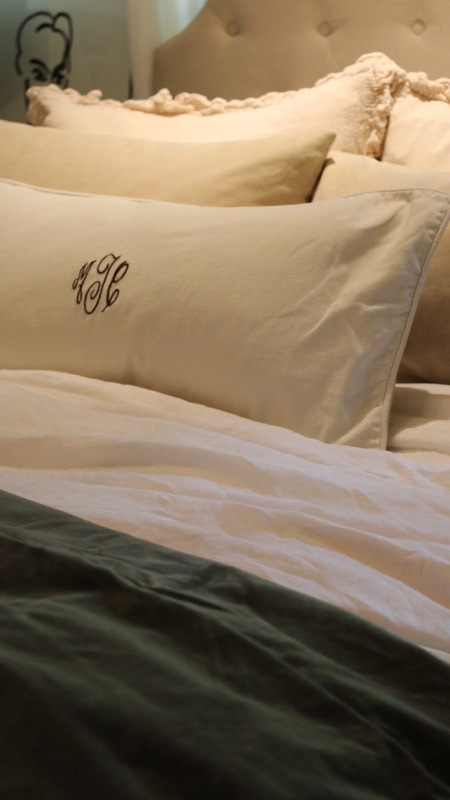 The monogram pillow is from here. 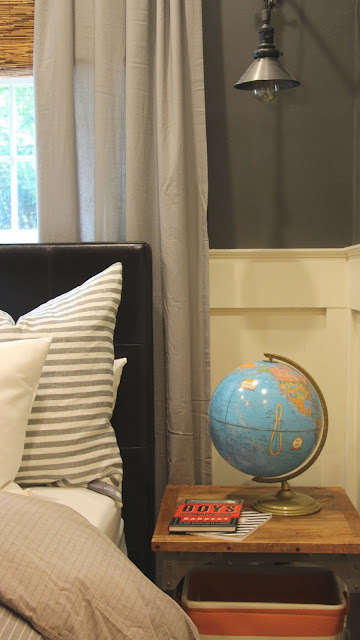 Wall color is Graphite by Benjamin Moore. 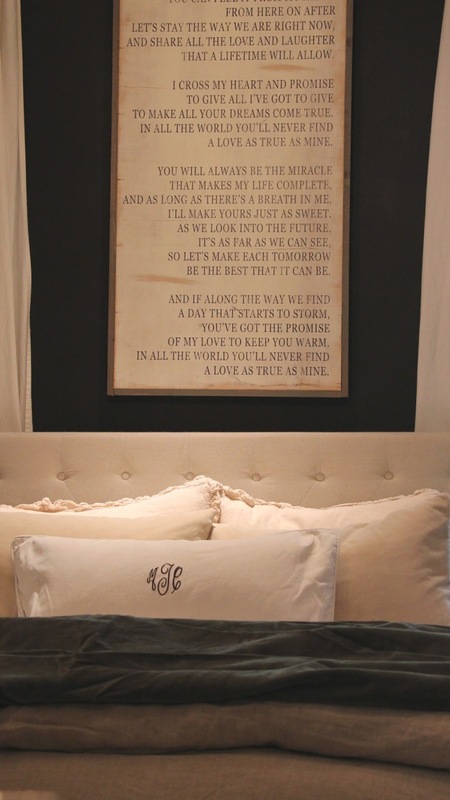 The sign above the bed is the lyrics to a favorite song. I have several of these signs in our house. The green velvet blanket at the end of the bed ties in the color of the pumpkins. 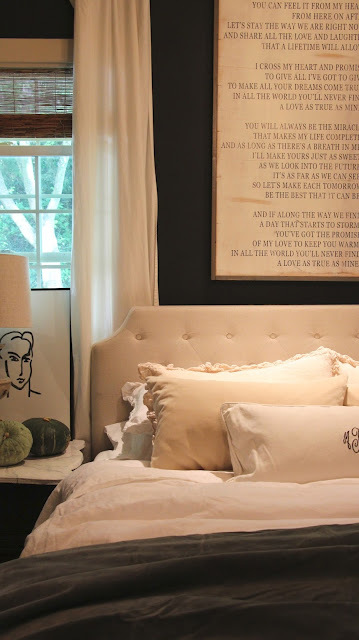 All bedding is from Restoration Hardware. The headboard is from Ross! I am a firm believer in spending good money on quality items that you really want, and balancing them with thrifted or garage sale items! And the very last stop on the tour is our son Cody's room. Cody is 12, almost 13. He loves sports, spending time with friends and family, and goofing off. 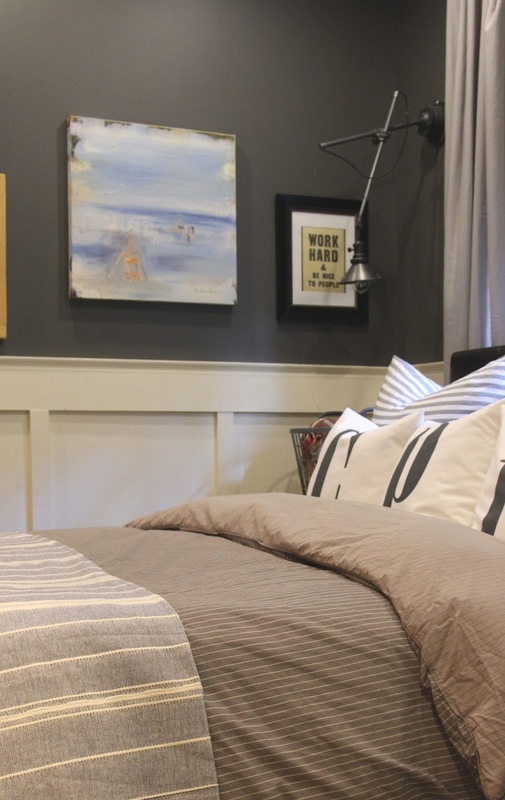 His room is painted Seal by Martha Stewart. The lower portion is painted Old White by Annie Sloan. His leather bed was a craigslist find. 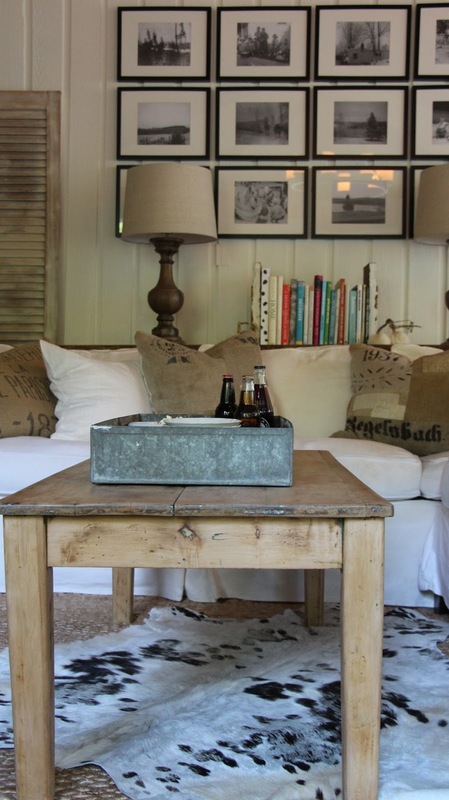 The initial pillows are from my friend Erin at Bows and Burlap. Email her for custom orders! 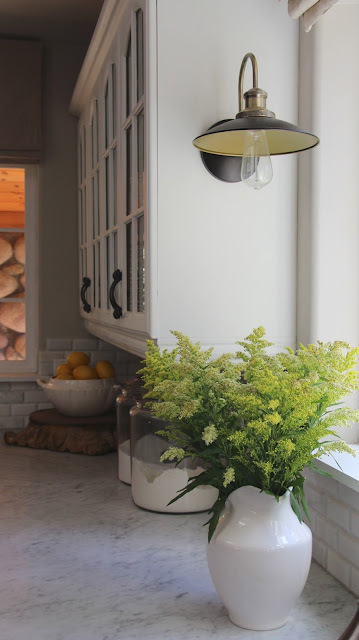 The sconces are from Restoration Hardware. 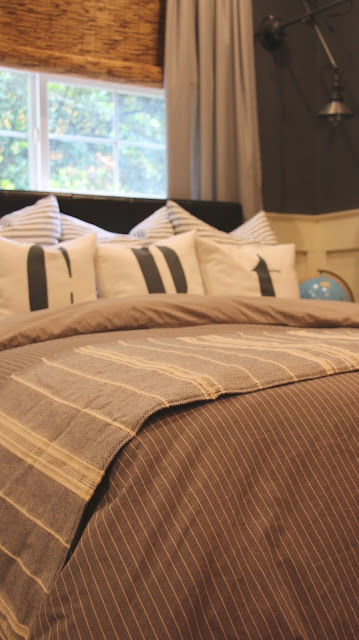 His duvet is a old one from Target and the striped Euro shams are from Studio McGee. 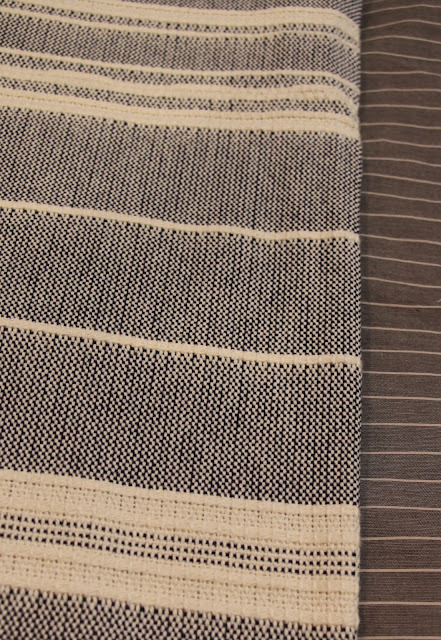 I just changed out his old drop cloth drapes, literally yesterday to these linen ones from here. They hang so much nicer and are lined which I love. You can read the process on how to make an indoor basketball hoop out of reclaimed wood here. 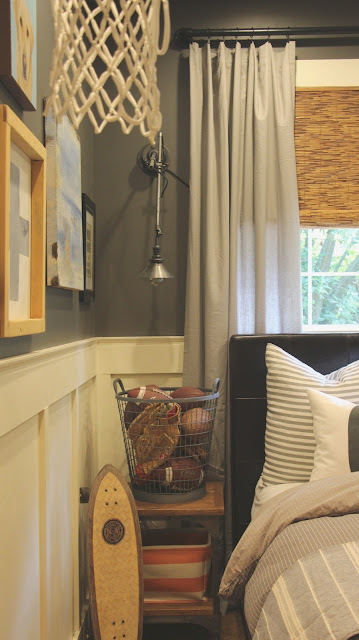 This old cart sits at the end of his bed and holds all his football gear. It was a garage sale find. This blanket on the end of his bed is new and adds the perfect texture. 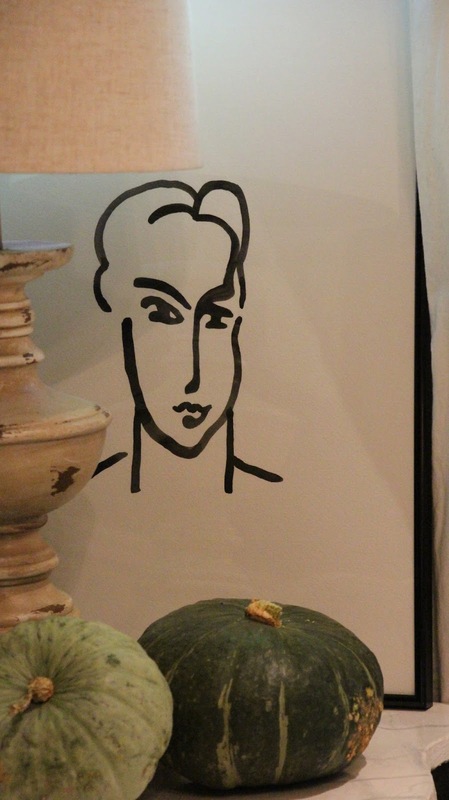 I purchased it from Kaufmann Mercantile, a great online shop. I love having extra blankets on beds to curl up with this time of year. It's also nice and big so during the summer months we can use it as a picnic blanket, etc. If you'd like one of your own, go here. 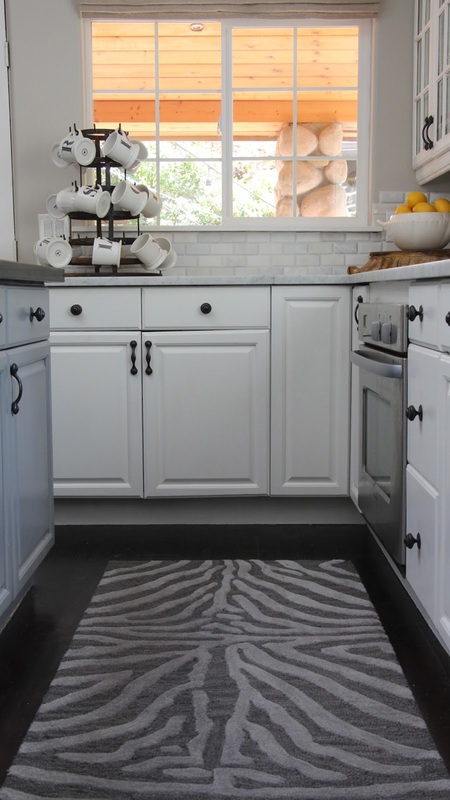 I love the chevron herringbone pattern and the subtle colors. Cody has a bathroom attached to his bedroom behind a sliding barn door. There's a few new things in there as well. 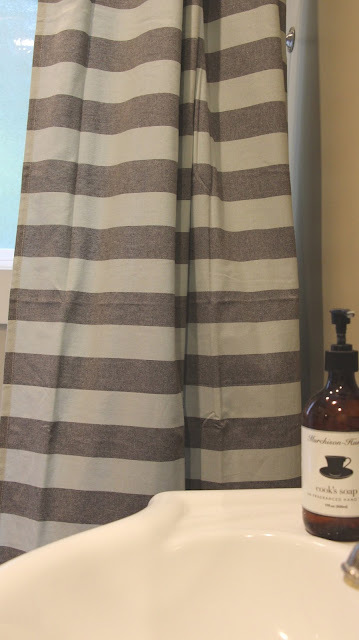 This shower curtain reminds me of Turkish towels. I picked it up at Target along with some matching towels. It's a very light aqua and grey. 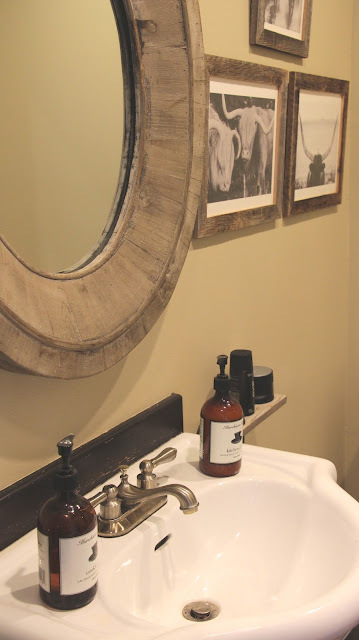 The mirror is from here but I have since found a less expensive one at World Market but I am not seeing it on their website. The artwork is from Minted and you can read about it here. of the kids and their dad in Mexico. And again from Kaufmann Mercantile, I got this Steele canvas laundry hamper. 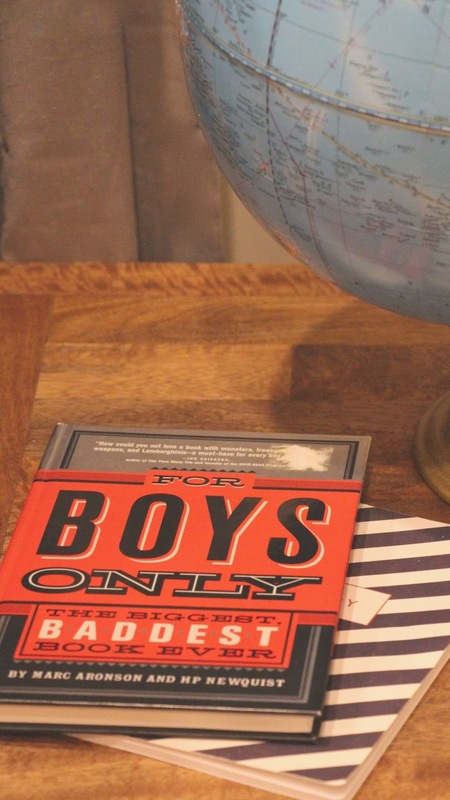 I love how huge it is because pre-teen boys are so messy! 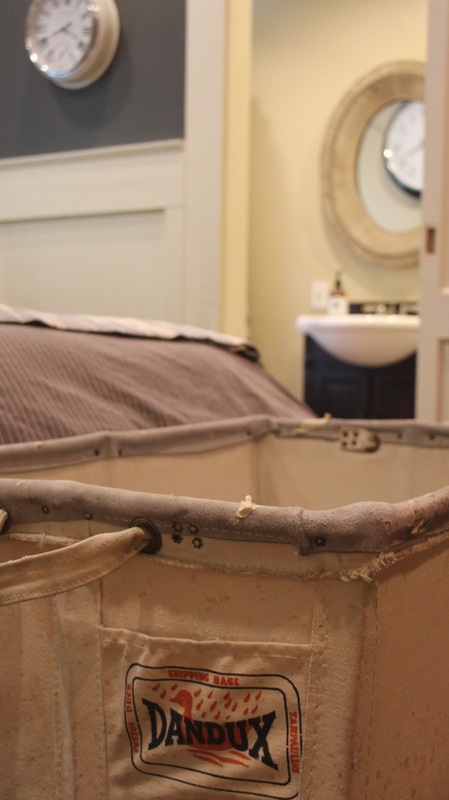 The company that makes these hampers has supplied the military and hotels with their industrial strength canvas baskets, bins, buggies, and bags in the US since 1921. I love it when I know the history of things! 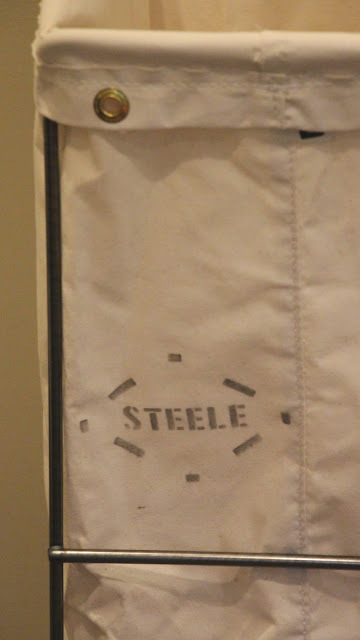 And I gotta admit, I love that STEELE logo! the laundry room for me. We will see if that actually happens. Ok, now that you have read through all that and gone through all those pictures, I have a little something for you. It's actually a big something. 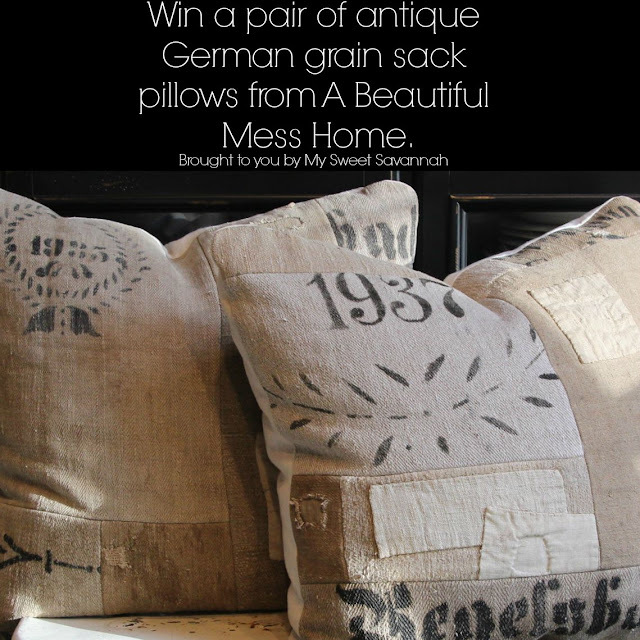 My friend Kymberly from A Beautiful Mess Antiques shop in California has agreed to giveaway 2 of her beautiful antique German grain sack pillows designed by her! 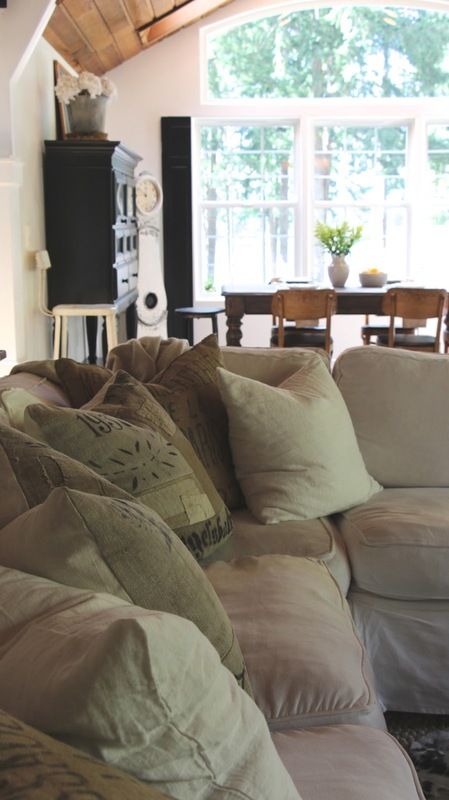 The quilted pattern on each pillow adds unique character to any home and will certainly be a conversation starter. This one of a kind authenticity has them valued at $795.00 for the pair! 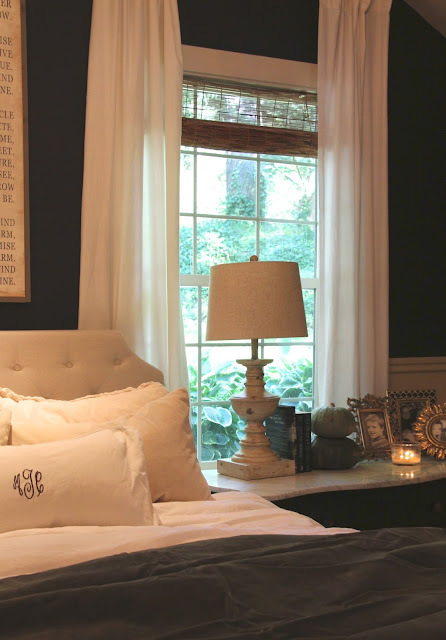 1~Follow My Sweet Savannah and A Beautiful Mess Home on instagram. 2~for an additional entry you can repost the image to your own instagram feed and tag us both. You must be following us both and we will be double checking. I will pick a random winner on Sunday at 7 PM PST and announce on instagram. If you do not have a instagram, it is really easy to get! Tomorrow Courtney with A Thoughtful Place starts off the tour, followed by these bloggers! Melaine ~ its beautiful!!!! So fun to have sneaked a peak in person and then see it all together on line. I would NEVER have guessed that cabinet was a Costco Home find!!!! Entered the giveaway - those pillows are amazing. Did the others forget? You are the only one on that list who has a home tour up!! I love your home. I like the new dining room but I LOVED your old hutch. And my favorite are your pink print pillows. Maybe you will use them when you put out the pink pumpkins?? Oh such fall fabulousness! 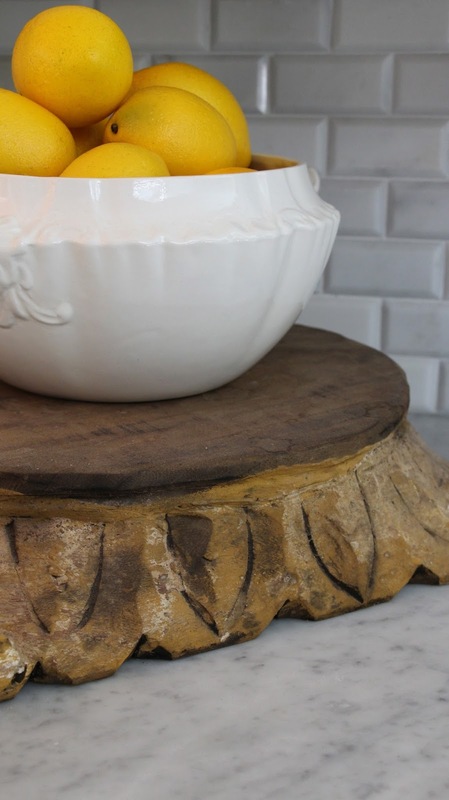 I adore the wood pedestal. Everything is so beautiful. 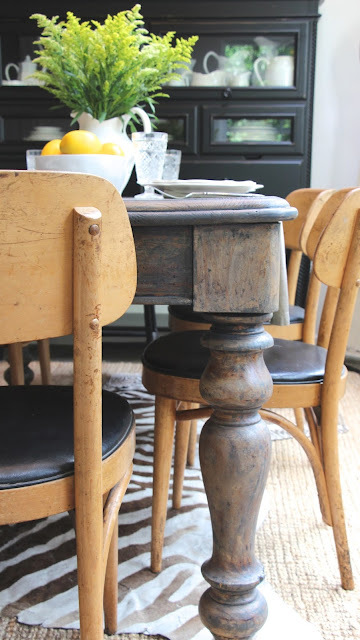 I really love how you add layers and texture and wow, how fabulous to list where things can be found. That is so nice of you. Your home is as stunning as you and I loved the tour. I adore your gorgeous home, dear one!!! The old school trash can is spectacular!!! I l o v e it!!! Your boys rooms are splendid!!! 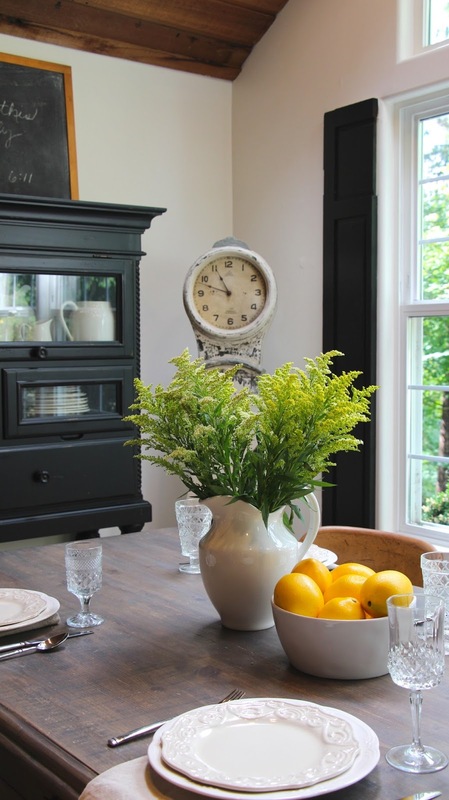 Thank you for inviting me into your lovely home for the 2015 Fall Homes Tour!!! Gorgeous as always Melanie!! 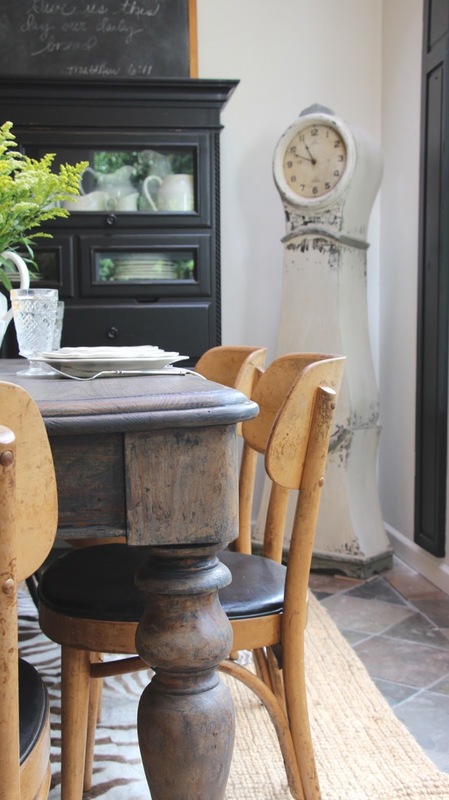 Love the dining rooms chairs!!! Totally magazine worthy!! This is the post that keeps giving. I need to come back to it when I have more time. I love all your changes ESPECIALLY the new chairs... seriously!! I entered the contest too! Great giveaway Kym and Melanie!! Loved your tour. 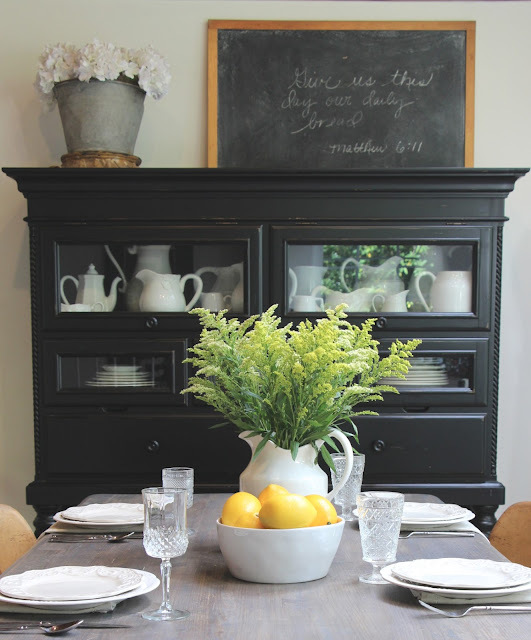 Found a few new blogs to follow on the Fall Home Tour. Count me in on yours! 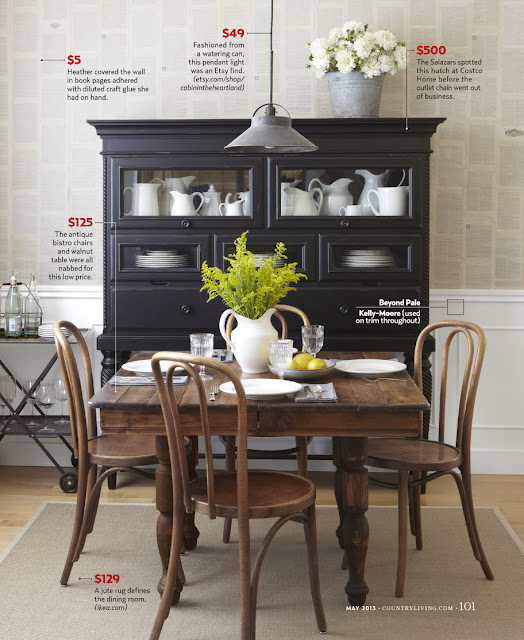 How cool to have a famous hutch (I would have copied what they did too - the styling is amazing!). 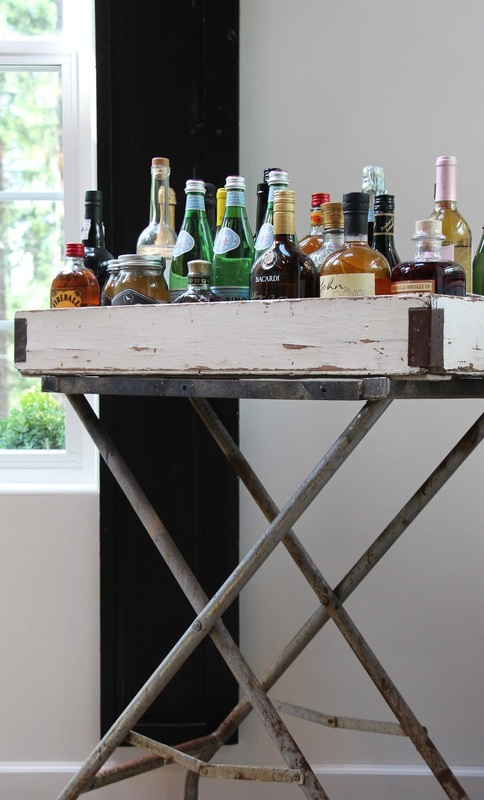 I love all of the unique accessories in your home but that vintage bar cart is my favorite! Wow, Melanie, it all looks so beautiful. 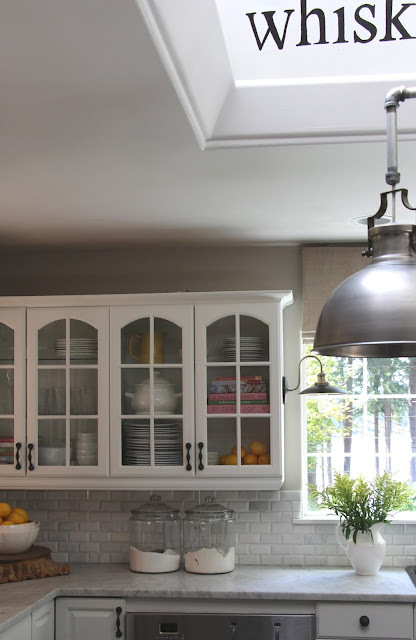 I adore your kitchen - so warm and inviting and I love your fixtures. I would never think to put the fixtures on the either side of the sink - so pretty!! Melaine ~ I always find something new to love in your charming home! 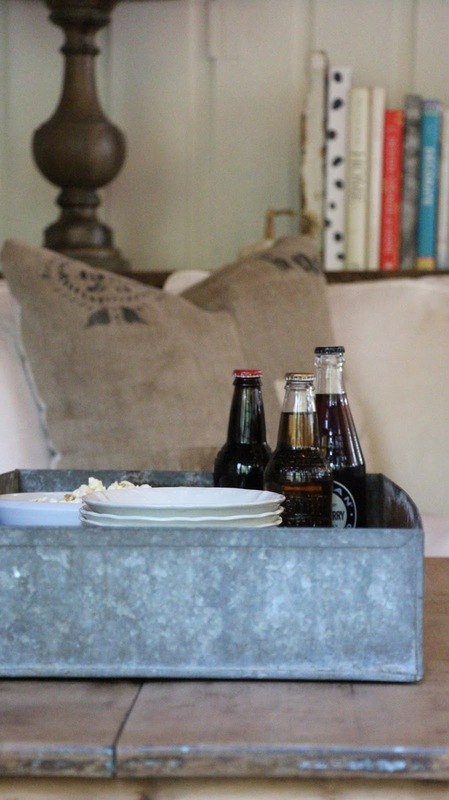 The unexpected recycle can in the kitchen, your rustic bar cart and of course, that hutch, oh my!! Everything is truly picture perfect! You did such a great job with all the deets. This post must've taken a long time to do. So the crazy girl from Az who wants two more details! 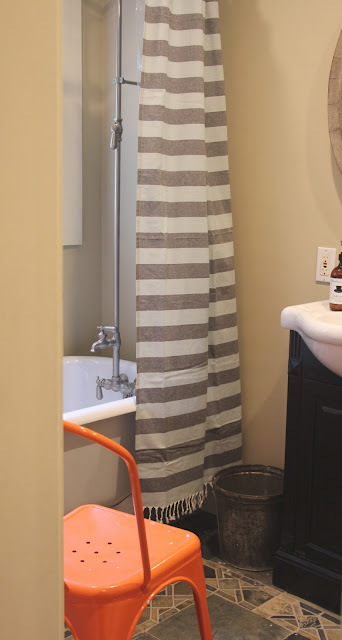 Get ready to laugh ...the scrub brush, I cannot find a natural bristle brush , I am about ready to use a bath brush which I can actually get my hands on. Secondly , the bag hanging above the door that leads to the studio. Hi Karen! The scrub brush is amazing, I literally use it for everything! It's from murchison Hume! The bag I got at the round top antiques market in Texas. Off the top of my head I can't think of the company name but I did a post on it if you Google my Texas trip you'll probably find it! Melanie, Your home is so beautiful! I enjoyed the tour. Hey Melaine, Your house is beautiful! I was wondering what you used to paint your banister and spindles. How are they holding up? Any help would be great. That's my next project and I'm looking for ideas. This was an awesome tour, Melaine. 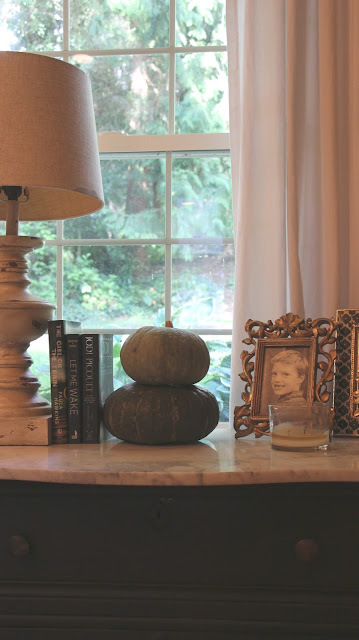 Your fall touches are subtle and perfect for your sort of modern/rustic style. I really love the new kitchen design and all the changes in your son's room. I'm going to check out the link for his blankets-love them. Thanks for such a great giveaway. I've been following you on IG for awhile and just signed on with A Beautiful Mess Home. Thanks! I love Kaufmann Mercantile! Everything they carry is gorgeous! Thank you for the home tour. your house looks so stylish! 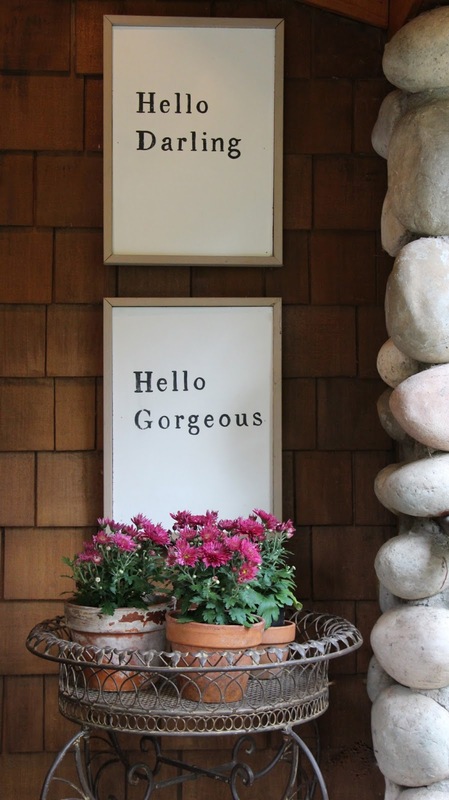 Your house is beautiful with the perfect touches! 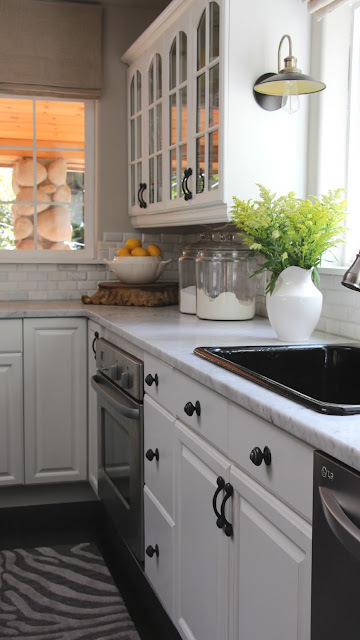 I am definitely having kitchen envy now :) Love everything! Following you both on Instagram. Great post, and great giveaway - thank you both! Lovely…cozy, warm, and collected! Happy to be on the tour with you! Love all of the textures and patterns! 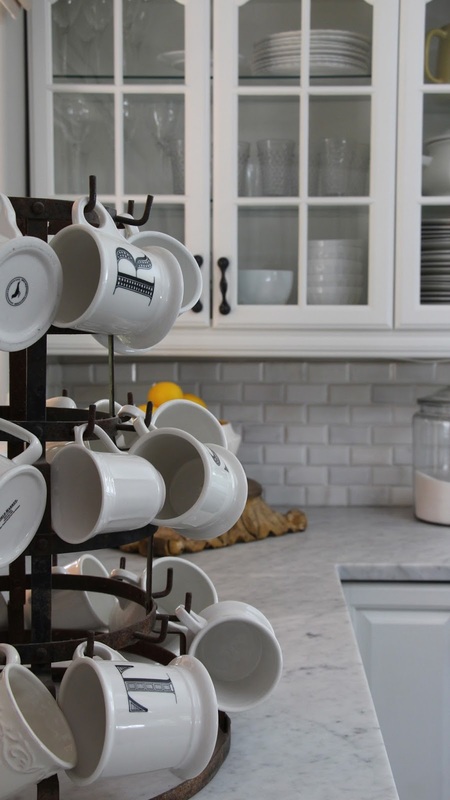 I love that every detail in your home is thoughtful! Your husbands childhood train table is now a table in your family room....love that!! So many textures of warmth and meaning throughout every corner of your home! Beautiful, simple, gorgeous and amazing post. The pictures are great, I love how you design those and how you put things together. Excellent pictures, especially the ones of the replacement windows! Thanks for sharing.